I needed a small rustic ladder for my mantel this year but I didn't have one and didn't know where to find one so, I did what I like to do.... I built my own. I used an old piece of 1x 2" wood I had in the basement and a few spindles from the back of an old chair. You can read about what happened to the rest of that chair here. I measured the 1x 2" and cut it in half. I drilled holes evenly spaced down both sides of the wood, then drilled pilot holes into the ends of the spindles so they wouldn't split, then screwed the spindles in place. The 1x 2" sides of the ladder were new wood while the spindles were old and gray. I used a vinegar/steel wool solution to paint the new wood, making it match the spindles and look aged. 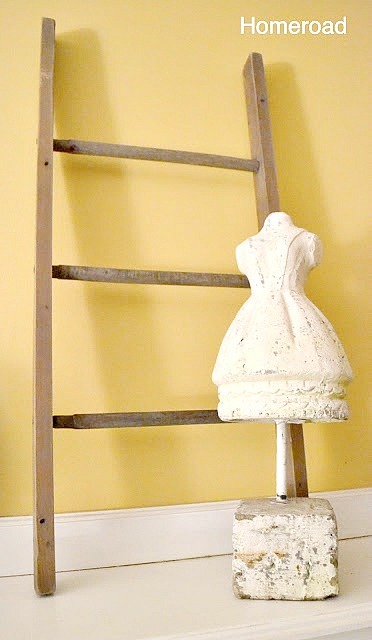 Next I mixed a chalky grey paint with a little of the vinegar/steel wool solution and washed it over the whole ladder. 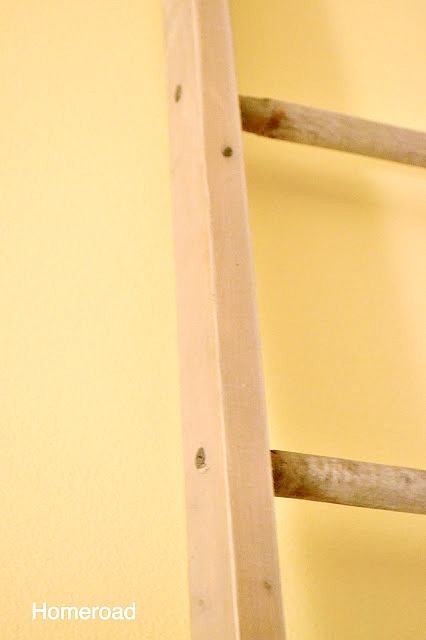 The color now matched and to give the ladder a little more character, I banged some old tacks into the wood. And here you have it... a mini ladder to decorate my mantel. 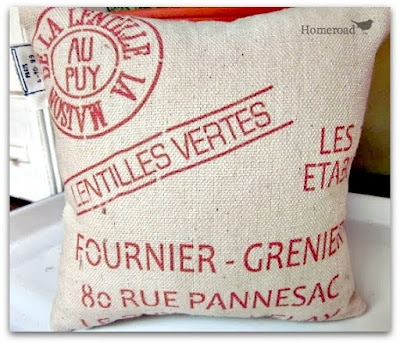 You can read all about that DIY grain sack ribbon here. 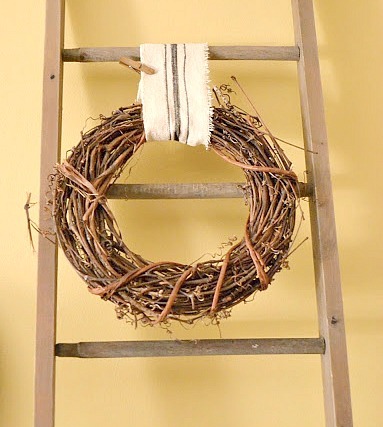 Here is how I decorated this ladder for Fall! 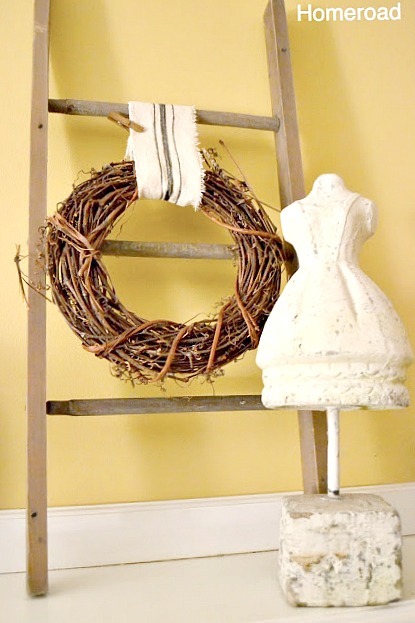 Your mini ladder looks great and so cute with the wreath! Your ladder turned out Awesome! Thanks for sharing how you made it! Great job Susan! I love the ladder look. I think I have one from a garage sale sitting in our guest room. I'd love to dress it up for spring too! Great idea! 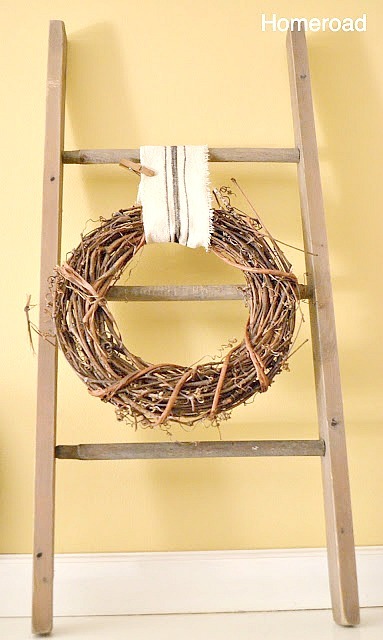 I love the ladder and the wreath ~ so pretty. I found you today thru The 36th Avenue Linky. I hope you get a chance to stop by my blog and leave a comment, too! So Cute!!! You are so creative Susan! 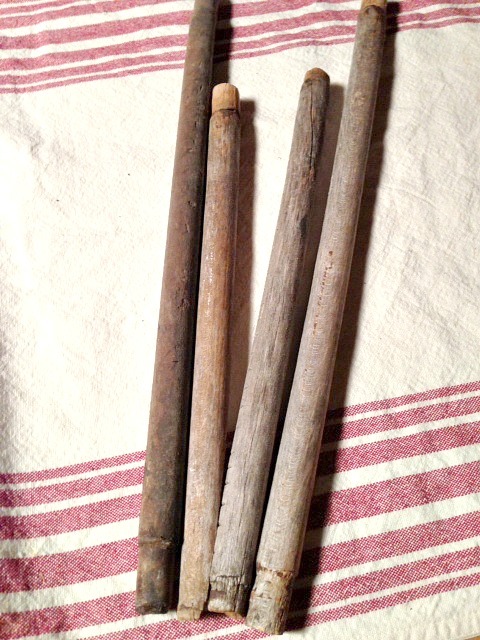 I have a bucket full of spindles. What a delightful way to use them. Love that dress form. What a clever idea! I need to file this under "why didn't I think of that?" That's our Susan... don't have the right size ladder?, make your own! yes, when you can't find it build it!! LOVE This, doing this! I think this might be a great way to display some etsy signs at my upcoming spring show! 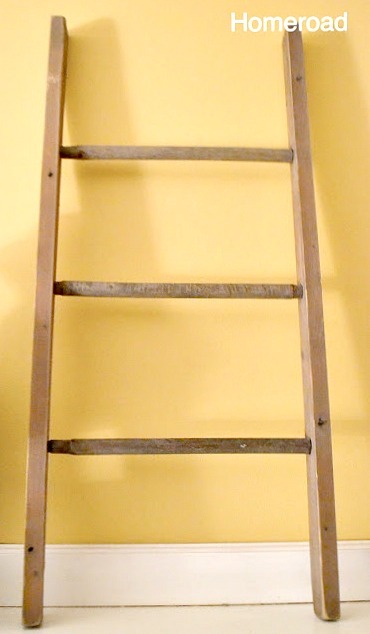 That is such a cute ladder. 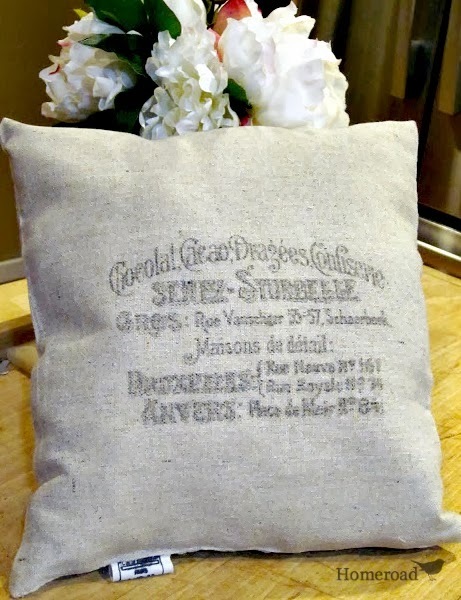 Love the recycled wood on it!